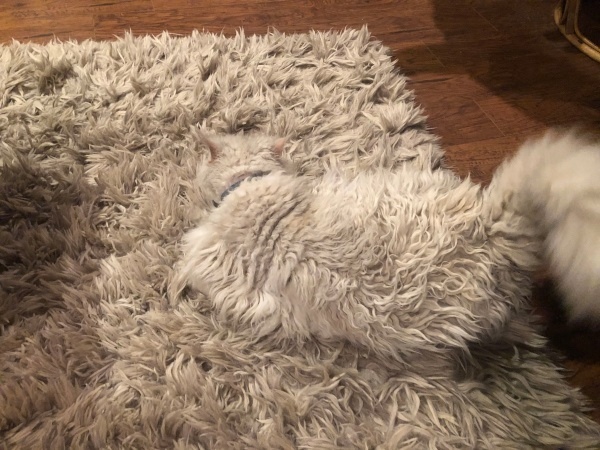 Can you spot the furry feline in this picture? 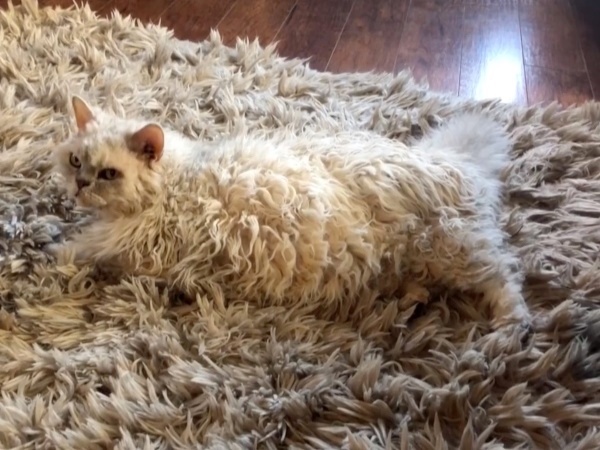 Laura Miller's pet cat, KC, is an expert at camouflage. When KC rests her head on the living room rug at home in Muncy, Pennsylvania in the US, she almost disappears into the fabric. The 5-year-old Selkirk Rex – a breed known for its curly hair – loves rolling around and grooming herself on the furry rug. 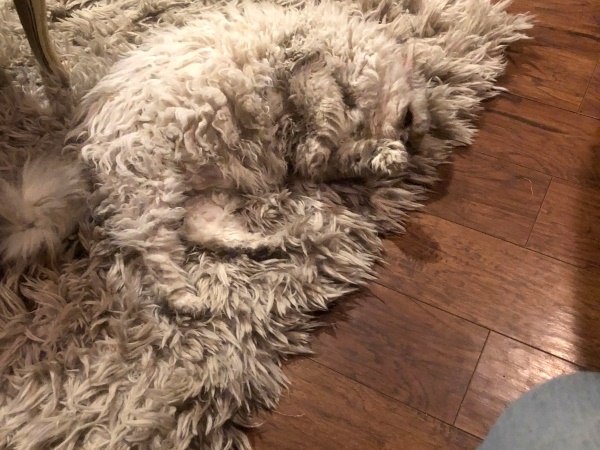 But her fur is such a near-perfect match for the rug's pile that when she turns her eyes away from the camera, she becomes invisible. "KC looks so much like the rug, it's hard to tell where one ends and the other begins," Laura says. "The rug came first, and I didn't even realise the resemblance until I was sitting in the living room one day and she was rolling around on it. "I couldn't believe how close a match it was," she adds. Laura rescued KC, along with two other cats, in November last year. She says KC acts more like a dog than a cat. "She begs at the table and can be found taking any opportunities available to eat off our plates. KC will wait at your feet until we get up to get a drink and jump up and grab your food," Laura laughs. CAN YOU SPOT KC IN THESE PICS?